Because it feels like summer now, I wanted to send a summer image. Here's a banana seat bicycle. This one even has fun flowers! This just looks like childhood summers to me - long days of riding my bike and enjoying time with friends. Did you love bike riding as a kid? 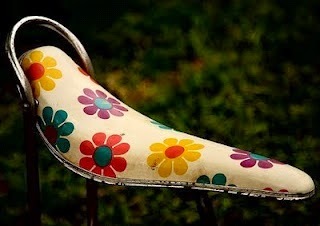 Do you remember banana seat bicycles? Talk to me in the comments, below.